You’re totally an aspiring #girlboss, but sometimes life’s hiccups leave you needing more of an empowerment boost than just scrolling inspirational memes on Instagram. Enter: The Well+Good Council, the thought-leading wellness luminaries who we tapped to be your personal counselors for healthy advice. This week, they’re sharing their personal secrets for channeling inner strength and confidence in every facet of their lives. Score expert intel on getting ahead in your career, learn the steps to developing your own personal mantra, and find out why starting your day with majorly positive vibes is the key to setting yourself up for success. The common thread in all this confidence-boosting advice? Authenticity. Because staying true to yourself is the most empowering thing you can do. 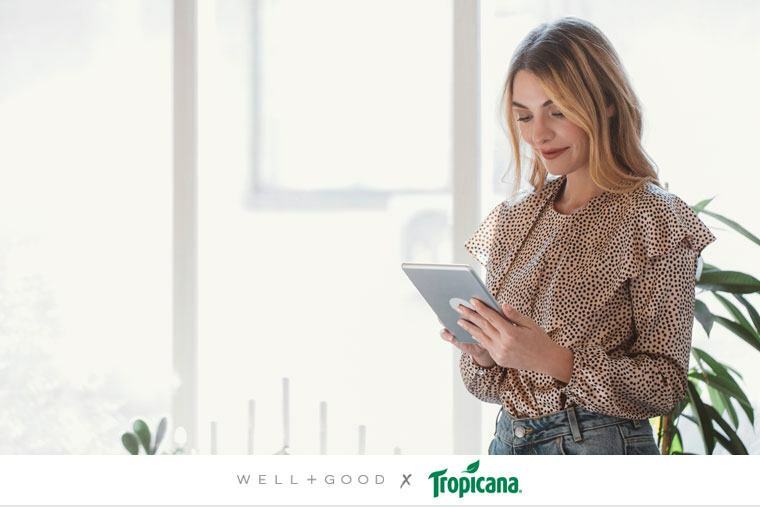 And all of these wellness pros are into keeping it real, whether by filling their diets with wholesome foods like Tropicana’s 100 percent juice or by making sure their social media presence is 100 percent genuine. Click here for more advice on living your happiest, healthiest, most authentic life—and look out for more tips on Well+Good all week! Confidence. Boosted.